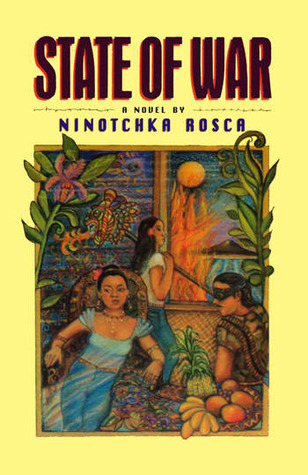 An endless festival amidst an endless war is the central image of this stunning novel about the Philippines of the Marcos era, a time of brutality, treachery, and betrayed passion.As the novel opens, our focus, in the Book of Acts, is on three young people—Eliza Hansen, Adrian Banyaga, and Anna Villaverde—as they arrive on the island of K_____ for the annual festival. AdriAn endless festival amidst an endless war is the central image of this stunning novel about the Philippines of the Marcos era, a time of brutality, treachery, and betrayed passion.As the novel opens, our focus, in the Book of Acts, is on three young people—Eliza Hansen, Adrian Banyaga, and Anna Villaverde—as they arrive on the island of K_____ for the annual festival. Adrian is rich, innocent, handsome—the son of a leading family; Anna has been widowed in the rebel struggle and was herself detained and tortured by the military; Eliza, the beautiful daughter of a courtesan, is now the object of the perverted desires of the depraved Colonel Amor, Anna's tormentor.As the heat of the carnival brio rises, so do intimations of revolution, for somewhere in the jungle the rebel leader Guevara is plotting a terrorist act: a bomb will be placed at the speakers' stand timed to explode when the governor appears. Anna makes contact with the rebels, while Eliza plots to kill Amor for what he has done to her friend. And Adrian is captured and drugged by the colonel.As the tension builds, the novel moves back in time, in the Book of Numbers, on a headlong, magical, sometimes hallucinatory reprise of Filipino history and the history of the families of the three young people. We learn of the Japanese atrocities, Filipino greed and treachery, American coldness and venality. We learn how Adrian's fortune was made, how Anna became the strange and silent thinker she is, how Eliza is distantly related by European blood to Anna. And we meet characters whose literally fabulous—a woman who forces icons to respond prayers, a distillery owner who is also master of forty-two ways of self-indulgence, a self-contained maid who determines her master's fat, a boy who falls in love with saxophone, a teenage Chinese girl with bound feet who dreams of the return of the Manchu Dynasty, a German chemist unable to brew beer...Finally, in the Book of Revelations, we reawaken to the present: once again we are at the festival on K_____, about to witness the novel's shattering conclusion, its terrifying finale.Like Isabel Allende's The House of The Spirits, Ninotchka Rosca's novel is both a work of art and a powerful illumination of an entire culture and a country in conflict. Her achievement is timeless as well as masterful.